The PD 6500i leads the industry with superior pinpoint technology and unmatched discrimination features. Designed for maximum throughput without compromising security, the PD 6500i is the walk-through of choice for security professionals worldwide. 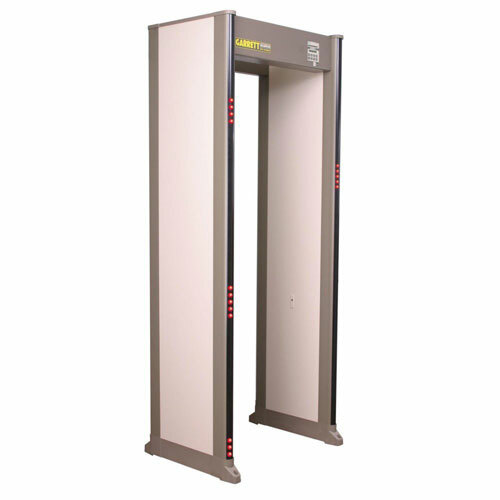 PD 6500i is an "Approved Product for Homeland Security" under the SAFETY Act. Garrett’s PD 6500i metal detector has proven its effectiveness at moving high volumes of patrons through such events such as the Olympic Games, World Cup 2010 South Africa, and the Pan-American Games in Mexico. 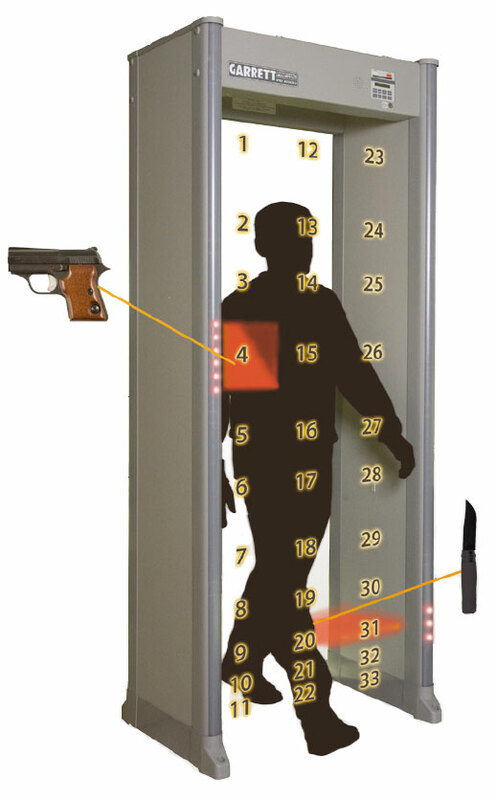 The PD 6500i has also been trusted to safeguard international airports, hotels, government buildings, and correctional facilities. With its advanced networking and ability to pinpoint targets in 33 detection zones, the PD 6500i is the walk-through of choice for security professionals worldwide. All settings are secured with a key lock and two levels of access codes. Further security is accomplished with a cabinet lock that prevents unauthorized access to physical cables, connectors and electronics. The PD 6500i’s modular design allows for a quick and simple assembly of its four (4) sub assemblies using only eight (8) screws and three (3) internal cable connections. Digital Signal Processor, or DSP, provides greater sensitivity, noise immunity, discrimination, detection uniformity, and overall product reliability.